Learn How To Achieve Online Business Success TODAY! This book teaches you how to build a successful, money-making online business. It provides you with the 10 best strategies to becoming a successful internet entrepreneur. If you want to achieve success as an online entrepreneur, you need to do what successful people in your field have done. It’s pointless wasting time, trying to re-invent the wheel. Instead, follow a proven path of success. 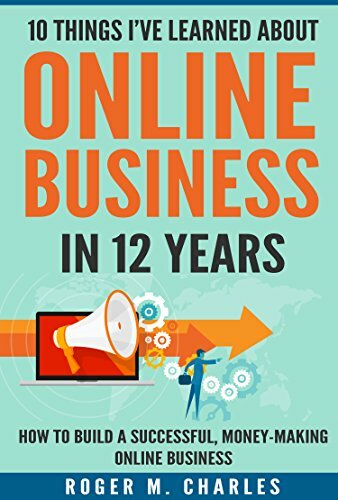 In this book, you will learn from an online entrepreneur who has been at it since September, 2003 and found huge success. This is a straightforward guide that is free of hype. It is not a get-rich quick book. Learn how to avoid common pitfalls in online business. Learn what works and doesn’t and how you can reverse-engineer success. Benefit from 12 years of experience and enjoy success on the internet. This book reveals the 10 “things” you must know to achieve online business success.